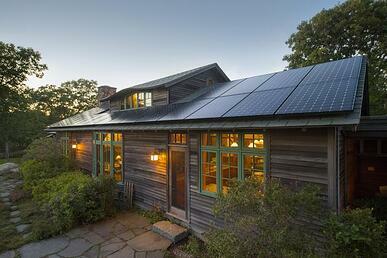 Earlier this summer, SunPower unveiled their highest efficiency residential solar panel yet. At 370-watts and an amazing 22.7 percent efficiency, the SunPower 370 panel is now available in Arizona at a special introductory price exclusively through Sun Valley Solar Solutions. But why should you care? When it comes to solar panels, efficiency, output, and longevity are the “holy trinity” of performance factors. These are the benchmarks that separate the bargain panels available from virtually any installer with a marginally functional pickup truck from the elite panel models that are reserved only for the most qualified integrators to install. In short, when output and efficiency are prioritized, you’ll wind up buying fewer panels to achieve maximum energy capture. With that said, let’s take a quick look at how the new SunPower 370 is re-establishing design, performance, and value benchmarks. Imagine installing panels on the south or west side of your roof, the part that usually gets the most sunlight here in Arizona. 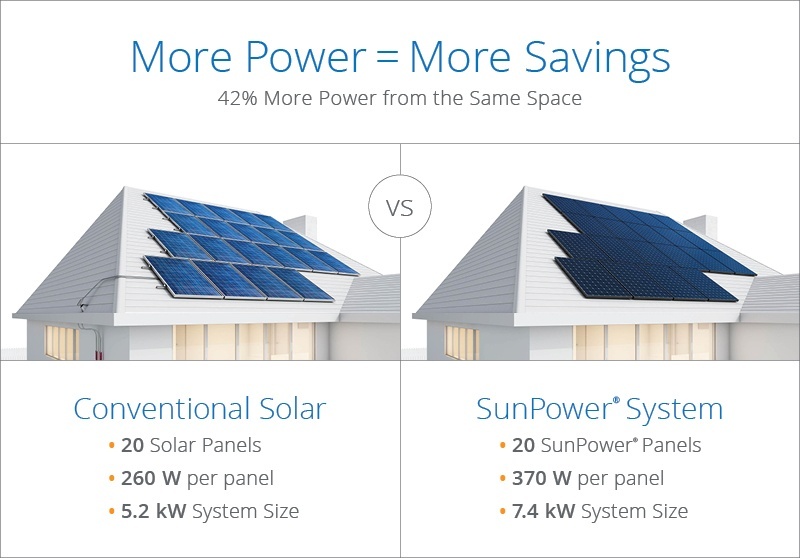 By using SunPower's 370-watt panels, you'll produce more than 60 percent more power in the same amount of roof space over 25 years than you would with more conventional panels. That extra power means less electricity purchased from the utility, greater monthly savings, and more excess energy to sell back to your electric utility during cooler seasons. Let’s say that your solar integrator has determined that a 5.5kW system is ideal for your home. To build that system, a certain number of panels will be required, with the quantity based on the specific panel model’s production capabilities. If you're limited by roof space or orientation, you'll want to choose the panel with the highest efficiency and greatest output for its size. 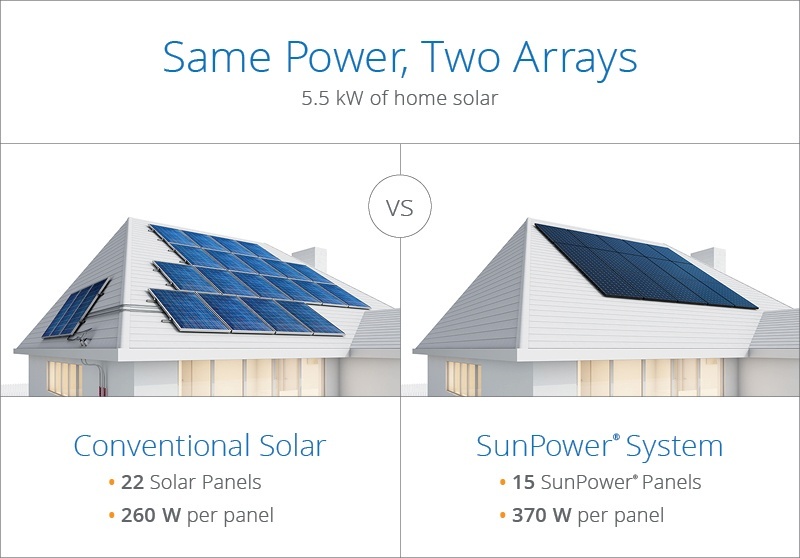 With SunPower's 370-watt panels, you'd only need 15 panels to achieve 5.5kW output versus 22 conventional panels. If you have trees that partially block your roof and you don’t wish to see them cut down, a higher efficiency panel will help you maximize your sunny areas while avoiding the need to expose the shady spots. Remember, more power, less space. SunPower’s X-Series are generally considered the most attractive solar panels available. Offered in SunPower® Signature™ Black and designed to blend harmoniously into your roof, X-Series use all-black solar cells, black frames, and anti-reflective glass to reduce glare while improving the overall curb appeal. SunPower panels are constructed using a solid copper foundation, which enables exceptional durability for our harsh Sonoran summers, and minimal degradation over a decades-long lifespan. SunPower backs their technology with an industry-leading power and product warranty for 25 years.